Google Adsense is one of popular service for publisher by Google. It gives opportunity to website publishers earn money by display their clients advertising on your website. Adsense is one of reliable source to earn money from home with your website and blog. Best thing about it is you are earning 24*7 hours even when you are sleeping at night, and work 1-2 hours a day. As you all know that Google have an earning program which they named Google Adsense Earning Program. It is the strongest program which can give you lots of earning. With Having 12+ years of experience, Problab Technologies Pvt. 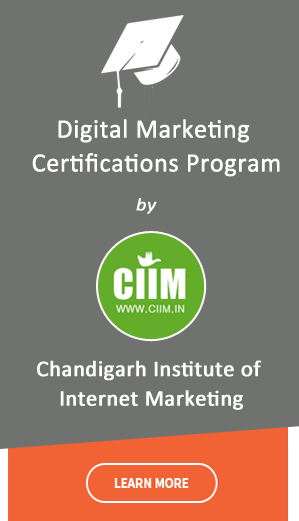 Ltd. is a Digital Marketing Company based in Chandigarh that proudly present Google Adsense training in Chandigarh. Problab Technologies professionally experts will trained you how to make online money through our Google adsense training course in chandigarh. What is Google Adsense Earning Program? if someone clicks on your ads, then Google will reward you with money and you strat earning online through Google Adsense. Why Problab Technologies for Google Adsense Training in Chandigarh? Our Aim is to provide you the best Google Adsense training classes. Course :Google adsense Training in Chandigarh. Duration : 3O – 45 Days, Google adsense Training in Chandigarh.